The Pumello HB Pink Grapefruit Hybrid has pink colored flesh. Very low acid; tastes like sweet, mild grapefruit. 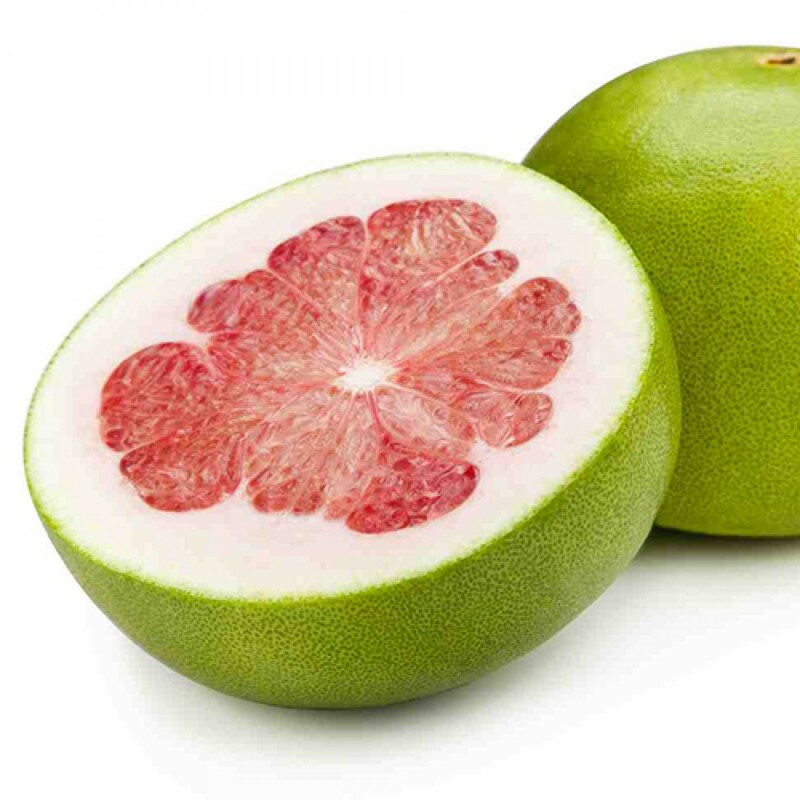 Dessert or The HB Pumello Pink Grapefruit Hybrid has pink colored flesh. The fruit is not as acidic as other varieties. The taste is sweet and mild. The HB Pumello works well in Desserts or fruit salads. The peel is used for marmalade and is often candied and dipped in chocolate.The HB Pumello is popular in Chinese cooking. 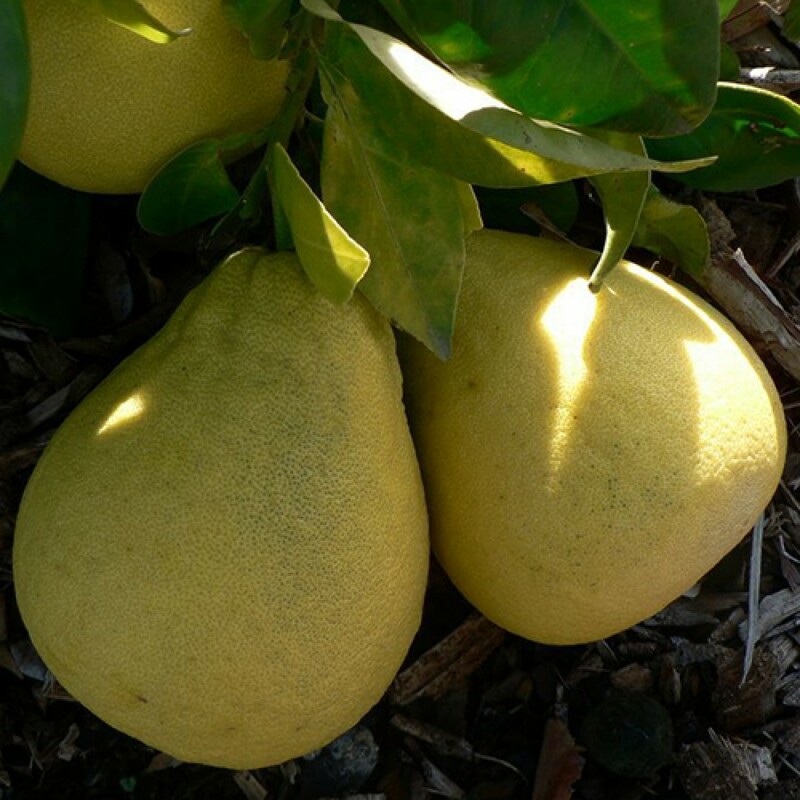 These yellow, Biscuit-shaped Fruits are thick with a smooth rind. 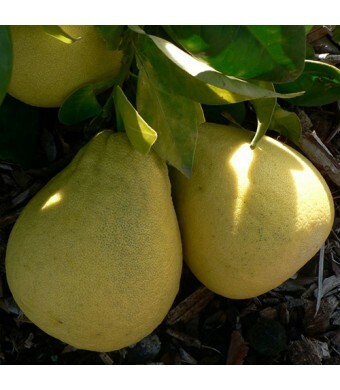 The HB Pumello Grapefruit trees are cold hardy in USDA Zones 9-11. They can be grown as container plants in all other areas of the U.S. if they are brought indoors for the winter.